We had the occasion to do a few night shots while in Rome. 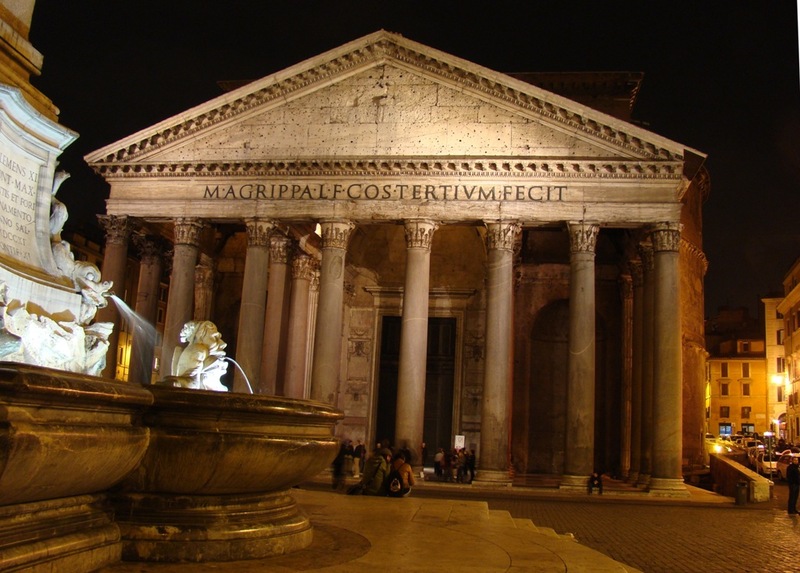 The Pantheon was built to honor all gods of Rome. It was rebuilt (having previously burnt) by Emperor Hadrian AD 126. The dome measures 142 feet high by 142 feet wide, and was the largest freestanding dome until the 20thcentury. Pantheon at Night. Photo by Leon Mauldin. The twelve pantheon deities in Roman mythology were Jupiter, Juno, Neptune, Minerva, Venus, Mars, Apollo, Diana, Mercury, Vesta, Ceres and Vulcan. Pantheon in Rome. At left is a portion of the Fontana del Pantheon. Photo by Leon Mauldin. 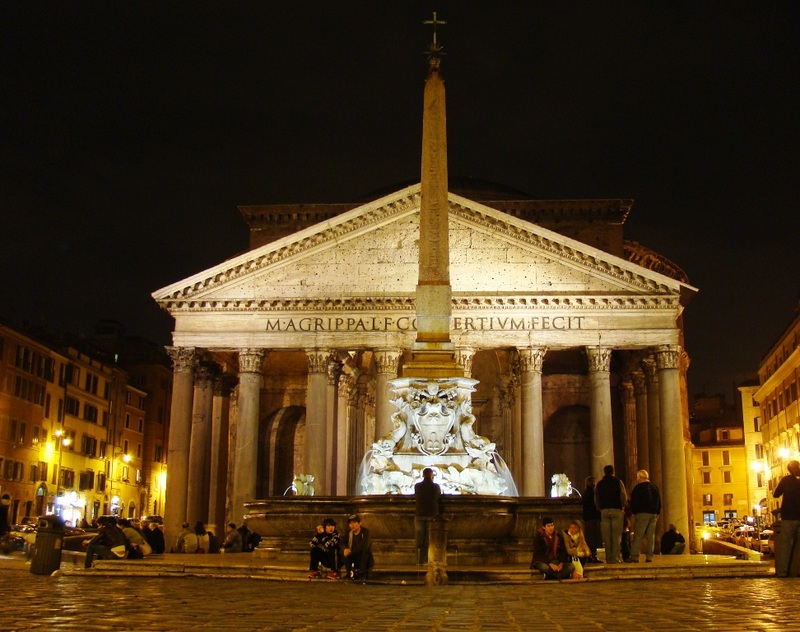 This entry was posted on Friday, March 23rd, 2012 at 10:55 PM and is filed under Italy, Roman Empire, Rome, Travel. You can follow any responses to this entry through the RSS 2.0 feed. You can leave a response, or trackback from your own site.